A well-recognized video game modder, Ben Heck, recently has created a single-handed controller for the PS4 which can be used by a gamer who has a disability that prevents him or her from using two hands to play. Not too long ago, Heck had also developed a similar controller for the Xbox One. In fact, his creations span much further and include making Xbox 360 laptops, custom portable/mini Nintendo 64's, a NES Micro, and tons more. Undoubtedly, Ben's efforts will enable gamers who have disabilities to experience video gaming unlike they could before. According to the Amputee Coalition, nearly two million people in the United States are currently living with a limb loss and roughly 500 cases of limb loss occur every day via amputation. Going further, the National Center for Health Statistics points out that the most common type of amputation involves the hands, which may involve the loss of one or more fingers. This statistic is then followed by the loss of one arm. Further still, besides amputations, there are various conditions which may leave a person disabled on one side of their body, thus only being able to use one hand for daily activities. Based on the aforementioned statistics, it further shows how Ben Heck's controllers will make a large impact. 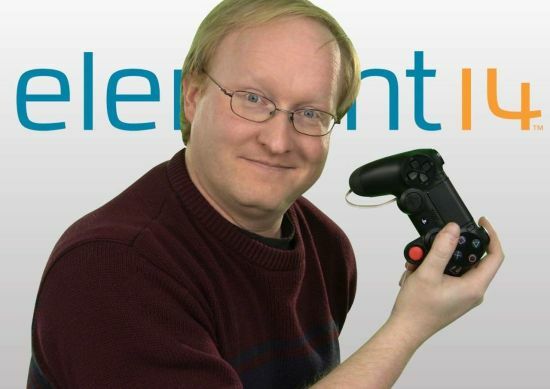 Ben Heck created the controller itself by taking apart the DualShock 4 controller and then reassembling the controller except by placing the controller's left-hand buttons onto the right side of the controller. One would imagine then, a similar style of controller could be made which instead places the right-hand buttons onto the left-hand side of the controller to better suit someone's preferences or necessity. More specific details about this controller will be unveiled during element14's The Ben Heck Show this Friday. This single-handed PS4 controller will be donated to a community viewer of the element14. The single-handed Xbox One controller, on the other hand, was donated to the Able Gamers Foundation, a charity which focuses on bringing video gaming to those with disabilities. On Ben Heck's website, you can find a teaser to this Friday's episode of The Ben Heck Show and can also learn more about his products and services. In addition to his charity creations such as the custom controllers, Ben also offers his modding services for $125 an hour.